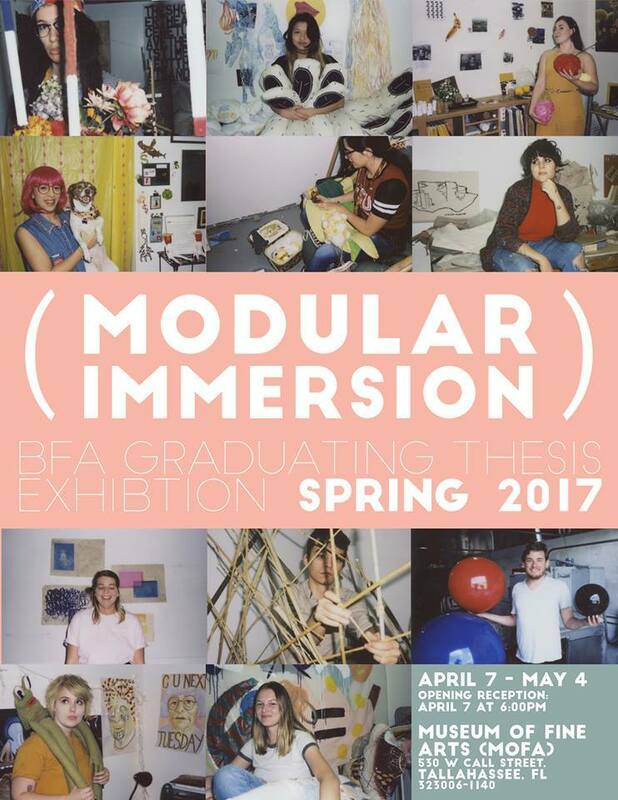 The FSU Art BFA Class of 2017 is proud to present their graduating thesis exhibition, (Modular Immersion), which explores the experience of art as installation and object with many of our students transforming the space into their own unique vision. Eleven of the graduating BFA students’ cumulative art works that span the gamut of media but also expression will be displayed. The exhibition is set to run April 7th to May 4th, 2017 at the Museum of Fine Arts. Please join the graduating BFA students at their opening reception at the Museum of Fine Arts on Friday, April 7th, 2017 at 6:00PM. Light refreshments will be provided.